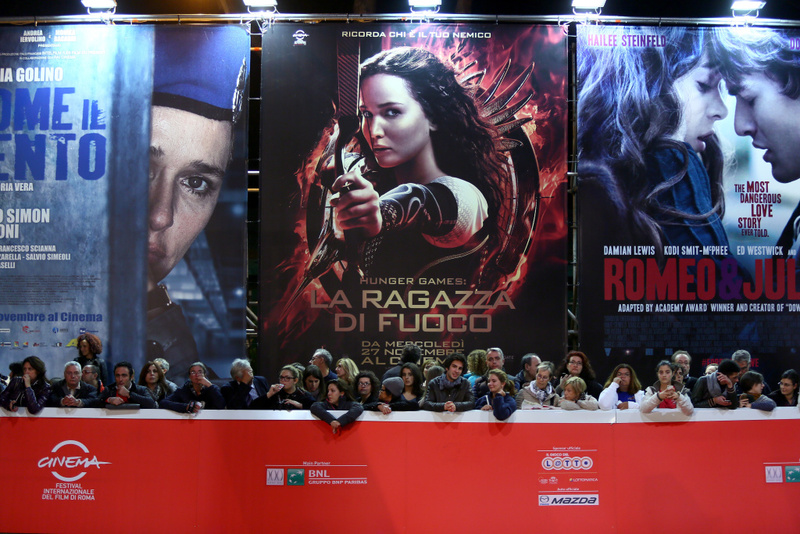 Crowds gather to watch the 'The Hunger Games: Catching Fire' Premiere during The 8th Rome Film Festival at Auditorium Parco Della Musica on Nov. 14, 2013 in Rome, Italy. "Catching Fire", the second in what looks to be a long series of "Hunger Games" movies definitely caught fire on it's opening weekend. This is now officially a franchise, how many more "Hunger Games" movies will we see? For those few people who may not know, "The Hunger Games" is set in an authoritarian future where the rich and powerful rule over a mass of people living in poverty. Of course it's a struggle in which the downtrodden are the heroes. Keegan wrote a story about how some conservatives have embraced the films. Even though women have been a part of Disney's operation from the beginning, they haven't been leaders. A new article says that women are stepping into leadership roles in Disney's animation studio. We've talked before about how few women directors there are in Hollywood, but that's most live-action films. Is animation even worse? Disney's Pixar unit is cutting jobs, and over at Dreamworks Animation, visual effects artists are planning to all wear green tomorrow when President Obama visits the studio. What's that about? One of the most iconic movie props ever is going on auction today in New York. The famous bird from the classic film, "The Maltese Falcon." In the film it's a worthless fake, but it sounds like the auctioneers are expected a pretty big payday. This is one of two falcons made for the movie, but the auction house says this is the only one that actually appeared in the film. This movie memorabilia thing is now a huge business.